Every step in the value chain is vital and all of them have different requirements in terms of transport and logistics. One of the most crucial, but often under-recognised, steps is packaging. Packaging no longer refers to a simple cardboard box; nowadays it is a complex, coordinated system of ensuring goods can move safely, cheaply and efficiently through the entire supply chain. Packaging not only ensures smooth travel from the final distribution hub to the consumer’s doorstep but also plays an irreplaceable role at all other stages of the logistics process. New trends in e-commerce and logistics are having major impacts on packaging producers, rendering packaging logistics more complex by the day. We’ll take a look at how packaging logistics is changing, how it works and what can be done to render it more efficient in order to help all logistics companies to optimise their operations. 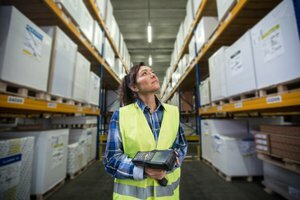 What logistics challenges do packaging producers face? The recent ecommerce boost is introducing many new challenges into the field of packaging logistics. B2C habits (the customer desire for “faster, closer, better”) are now affecting B2B supplier-client relationships. The most critical impact, from a B2C consumer perspective, relates to the quality and timing of packaging. 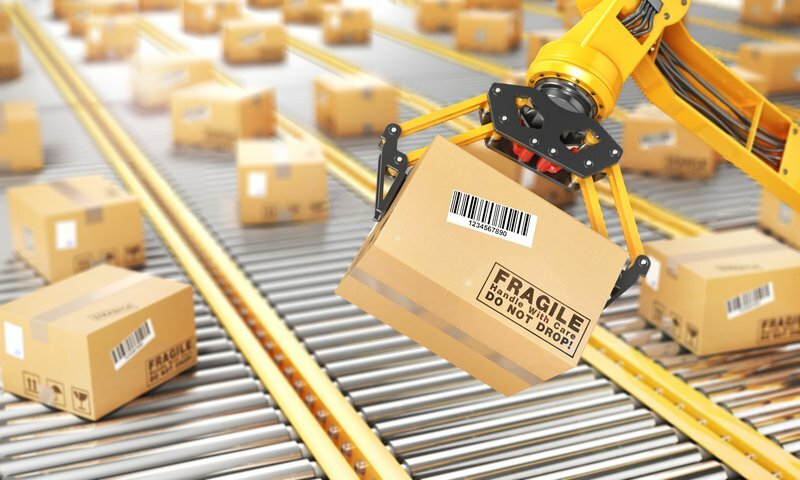 Product packaging must not only be top-quality, protecting goods along their logistical journey, but the delivery of said packaging must be punctual in order to avoid delays across the production plant(s) and beyond. In the first stages of paper and print, for instance, companies need to move heavy weight pallets, requiring specific machinery to load and unload trucks. Due to the volume of the material involved in most packaging orders, FTL (Full Trucks Load) modes are preferred for these shipments, which cover both short (less than 100 miles) and large (national) distances. FTLs are used because efficiency is so critical: the product (packaging) has very low added value whilst occupying substantial space, meaning large volumes need to be transported with every possible truckload. Efficient transportation of the packaging via FTLs is so important because the failure of packaging logistics - for instance, when packaging is not delivered to product manufacturers in time - has a number of negative impacts on manufacturers of FMCG or CPG products, who simply cannot stop the line production because of constant demand. The phrase “just-in-time” (JIT) is apt here. Best producers of FMCG/CPG use the JIT manufacturing process and need to rapidly and constantly produce goods, and then deliver them on time to their distributors and retailers. Moreover, despite the rush, they very often can’t justify using expensive warehouse space to store inexpensive packaging products, even if this might mitigate packaging delivery delays. 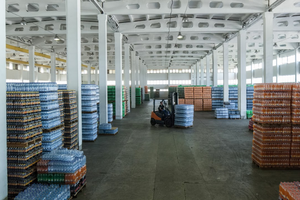 With many of their clients upholding such a no-package-storage policy, packaging producers must be located close enough to their clients to be able to provide a flexible, fast and cheap logistics solution, near to JIT processes. 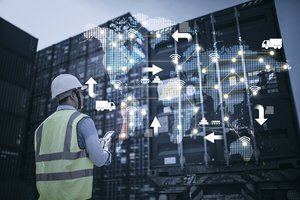 Proximity to clients and efficient transportation modes and processes are thus absolutely vital to the whole supply chain of not only packaging producers but the goods producers too. Therefore, packaging producers are left in a difficult position when it comes to new e-commerce related demands. One option is to optimise their operational processes, usually with the help of new technologies, in order to ensure that they can maintain product quality and increase productivity whilst simultaneously keeping costs low. With the improvement of vehicle utilisation, Ontruck helps reducing transportation and supply chain costs. Ontruck’s technology can help to improve the efficiency of logistics for packaging producers. This is thanks to rapid supply assignation, functions like ‘recurrent routes’ that reduce administrative and repetitive tasks, and the competitive prices they offer for both regional and national routes. From distribution, where we plan, operate and optimise milk-runs (several pickups and drop-offs), to direct shipments, mostly for FTL, we transport from A to B at a highly competitive price; also we Ontruck offer LTL Service for those shipments that do not require a full truck. Ontruck already works with providers of sustainable recycled paper, corrugated cardboard packaging and flexible packaging manufacturing solutions. One client working in the paper production industry carries out work both at the beginning and at the end of the value chain, focusing on the commercialisation of paper rolls and consumer paper recycling. 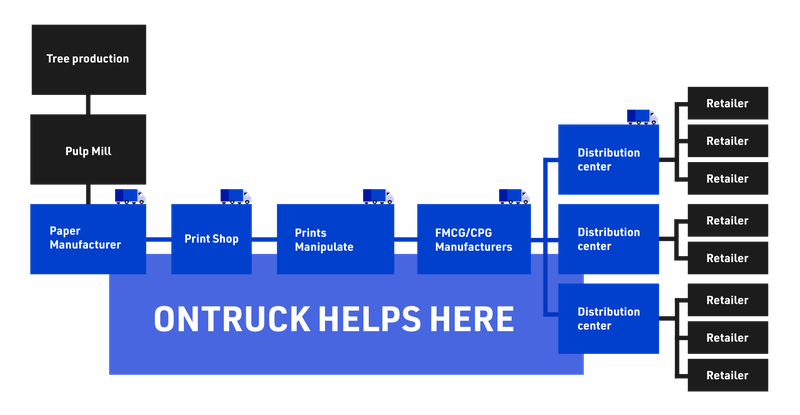 Ontruck has been able to improve efficiency, reduce the possibility of logistics delays and errors for said company and other packaging clients by optimising the whole supply chain from end-to-end. In doing this, Ontruck also help their clients to render their operations more environmentally sustainable, eliminating the wasted energy and “empty miles” inherent to inefficient logistics processes. Packaging has been identified in multiple academic studies as an area in which the implementation of efficiency and sustainability-oriented strategies can have a particularly big impact on the whole supply chain. Thus, the optimisation of packaging logistics processes could be extremely beneficial for all aspects of logistics, and the planet too. What is the key to handling peak demand periods for enterprises?